The most powerful and enlightened society in human history was unable to staff and operate this establishment today. WASHINGTON—Following Congress’ inability to hammer out a last-minute budget agreement, the federal government earlier today entered into a partial shutdown under which the greatest country on the planet—that shining example to all other nations in the world—will be unable to keep the William H. Gross Stamp Gallery open, sources confirmed. Owing to widespread pay freezes and the furloughs of various federal government workers brought on by the shutdown, directors at the Gross Gallery confirmed that the world’s towering bastion of wealth, cultural might, and democratic ideals will be incapable of maintaining the 12,000-square-foot gallery devoted to the history and exhibition of postage stamps. “We apologize for any inconvenience and hope to see our stamp gallery up and running again as soon as possible,” continued the man living in the most powerful and enlightened society the modern world has yet seen. According to museum personnel, the inability of lawmakers to reach an agreement on a federal spending bill has necessitated the temporary cessation of day-to-day operations at the gallery, which features thousands of stamp-related exhibits and is located in the capital city of the world’s reigning superpower. A reigning superpower whose principles of democracy, freedom, and limitless opportunity stoke the hopes and dreams of oppressed peoples around the world, sources confirmed. 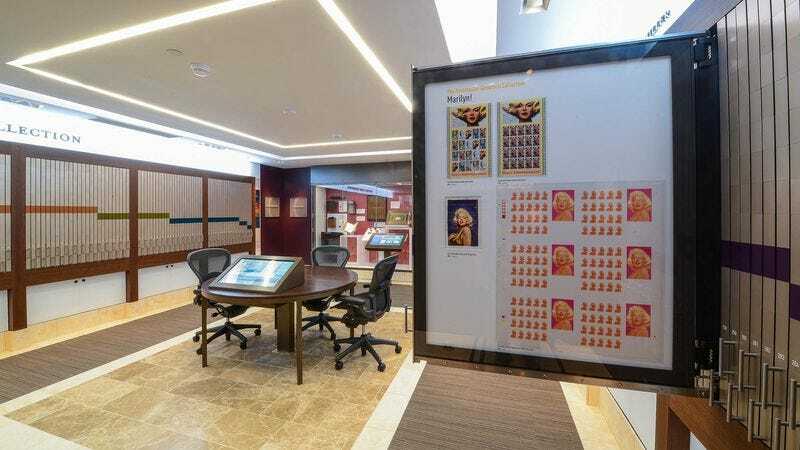 Specifically, the funding shortfall will mandate the closures of an exhibit featuring a collection of some of the country’s earliest stamps, an interactive display in which visitors can mock up their own stamps, and a section of the museum that pays tribute to famous stamp collectors throughout history, as well as a gallery showcasing a collection of oversized stamps. The United States last year recorded a GDP of nearly $17 trillion. “Hopefully the shutdown will end soon so people can come look at our stamp collection again,” added Ganz, who lives in the veritable “City upon the Hill” that is America, that proud and indomitable nation known the world over as the very pinnacle of human civilization, which every year draws thousands of wide-eyed immigrants thirsting for freedom and opportunity to its golden shores. Sources also confirmed that the government’s personnel cuts leave it unable to support numerous other federally funded sites, including New York’s Cooper-Hewitt National Design Museum, Montana’s Upper Missouri River Breaks National Monument, and Colorado’s Black Canyon of the Gunnison, all of which will remain closed indefinitely until the leaders of the world’s preeminent global superpower are able to pass a spending bill through the most efficient and equitable government system yet produced by man.